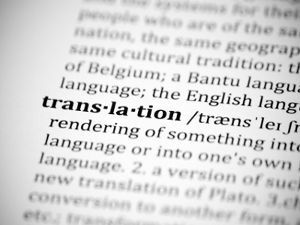 All of our translators are experienced subject specialists. Most of them hold advanced degrees in scientific or engineering disciplines, medicine, or business. They translate into their native language and understand the inner workings and the terminology of an industry or discipline. With businesses increasingly in need of reaching a global audience, the importance of translating non-traditional media is gaining ground. Accent on Languages can help you produce localized rich media, interactive product demos and tools, 3D vector animations, Flash and Shockwave presentations. Subtitles: Make your existing audio visual programs readable for foreign language audiences by adding subtitles to your video, movie, and film. Voice-over: consists in replacing the original voice by another one in the foreign language. You can localize your corporate and audio/visual presentations, soundtracks, movies, and other media for your foreign markets. Dubbing: unlike subtitling, it is the substitution of the voice of each character and it involves lip-synchronization and matching the personality and intonations of the voice of the actors on screen.